” Blues guitar great Lonnie Mack is dead at 74, Alligator Records announced late Thursday. According to a press release, he died of natural causes on Thursday at Centennial Medical Center near his home in Smithville, Tennessee. ” This DVD collection presents some of the rarest footage of legendary Country Blues artists that we have been fortunate to find. The footage varies from hi-quality film to analog videos taped over 40 years ago. But above all, the music and performances are powerful and evocative. The sounds of Skip James, Bukka White, Big Bill Broonzy, Son House, Will Shade, Rev. Gary Davis and others on this 115 minute collection will give you shivers up your spine and get your feet tapping. This is the Country Blues of a time long past. ” Beck grew up in Wallington, England. His mother’s piano playing and the family’s radio tuned to everything from dance to classical made sure Beck was surrounded by music from a young age. 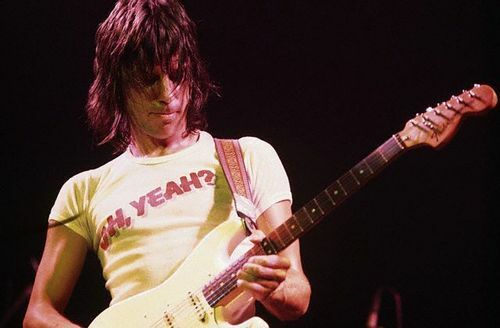 ” Geoffrey Arnold “Jeff” Beck (born 24 June 1944) is an English rock guitarist. He is one of three noted guitarists to have played with The Yardbirds(Eric Clapton and Jimmy Page are the other two). Beck also formed The Jeff Beck Group and Beck, Bogert & Appice. Much of Beck’s recorded output has been instrumental, with a focus on innovative sound and his releases have spanned genres ranging from blues-rock, heavy metal, jazz fusion and an additional blend of guitar-rock and electronica. Although he recorded two hit albums (in 1975 and 1976) as a solo act, Beck has not established or maintained the sustained commercial success of many of his contemporaries and bandmates. Beck appears on albums by Mick Jagger, Kate Bush, Roger Waters, Donovan, Stevie Wonder, Les Paul, Zucchero, Cyndi Lauper, Brian May and ZZ Top. In 1988, he made a cameo appearance in the movie Twins. 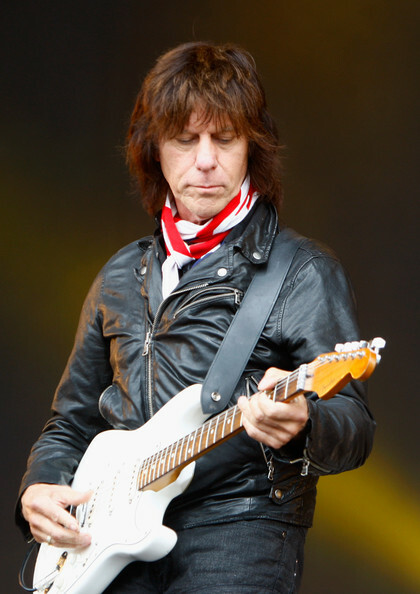 All About Jazz is celebrating Jeff Beck’s birthday today! ” We composed Father’s Day Blues in 2010. Our dad was not able to visit his father (our grandfather) on Father’s day and he said he felt kind of sad. So we made this song to cheer him up. Juke Joint Blues – 42 Great Songs From The Mississippi Delta & The Deep South! ” Juke Joint Blues — 42 great songs from the Mississippi Delta & the Deep South! ” Many men try to fill their father’s shoes when they join the family business. Few, however, must prove they are up to the task in front of an audience as large as the one that watched Big Bill Morganfield. Blues lovers the world over revere his late father, Muddy Waters. Morganfield didn’t take up the challenge until several years after his dad passed away in 1983. When he realized he wanted to delve into the world of blues as his father had, he purchased a guitar, intending to pay homage to the legendary Waters, whose real name was McKinley Morganfield. That tribute was six long years in coming, years that Morganfield spent teaching himself how to play the instrument. An evening spent playing at Center Stage in Atlanta with Lonnie Mack followed. The audience, which numbered 1000, went wild over the performance and set the novice musician’s spirit afire. ” Tedell Saunders was a blues harmonica player and singer, born in Greensboro, North Carolina, on October 24, 1911, and died in New York on 12 March 1986. Tuerto by accident at the age of 14 years and blind as a result of a blow during a fight, several years later, Terry concentrated on the harmonica, partnering with Blind Gary Davis and Blind Boy Fuller, two blind musicians, with whom he played in the streets of Durham and Raleigh, accompanied by a red-haired guide, who played the washboard and eventually became known as Bull City Red. made ​​some recordings for a local label, with a sound genuinely to Style Piedmont. It was precisely network who introduced him to Brownie McGhee, who professed great admiration for Fuller. Terry emigrated to New York when John Hammond signed him to his concerts at Carnegie Hall (1938), sharing experiences with Leadbelly and at Fuller died in 1940, was definitely in town. From this moment, the musical careers of Terry and McGhee are joined in the duo “Sonny & Brownie”, one of the most stable and successful bands in the history of the blues, performing a large number of recordings. When, in the 1960s, the rural blues began to lose favor with the black public, Sonny & Brownie were welcomed by the public folk and the European public. In the early 1980s, Terry and McGhee separated, after a period of growing disaffection. Terry continued to record (with Johnny Winter or Willie Dixon), participated in the film “The Color Purple” by Steven Spielberg and starred frequently. Style The style of Terry was personal and original, exuberant and joyful, imitating harmonic sound trains, dogs barking, howling screams … combined with his falsetto voice. Very representative of mountain style, typical of the Apalaches. ” Kenny Wayne Shepherd and his group exploded on the scene in the mid-’90s and garnered huge amounts of radio airplay on commercial radio, which historically has not been a solid home for blues and blues-rock music, with the exception of Stevie Ray Vaughan in the mid-’80s. Shepherd was born June 12, 1977, in Shreveport, Louisiana. The Shreveport native began playing at age seven, figuring out Muddy Waters licks from his father’s record collection (he has never taken a formal lesson). At age 13, he was invited on-stage by New Orleans bluesman Brian Lee and held his own for several hours; thus proving himself, he decided on music as a career. He formed his own band, which featured lead vocalist Corey Sterling, gaining early exposure through club dates and, later, radio conventions. ” Åmål´s Blues Fest 2009. Intro: Crossroads (Robert Johnson), inspired by Adam Gussow and Eric Clapton/Cream. 0:10: Key to the Highway (Broonzy/Segar). 2:45: Rockabilly Boogie Harmonica (Markku & Hakan), Markku Sainmaa: guitars, keyboards, drums. Microphone: Shure 545SD, rewired for high impedance. ” He was born in West Point, MS, and named after the 21st President of the United States (Chester Arthur). His father was a farmer and Wolf took to it as well until his 18th birthday, when a chance meeting with Delta blues legend Charley Patton changed his life forever. 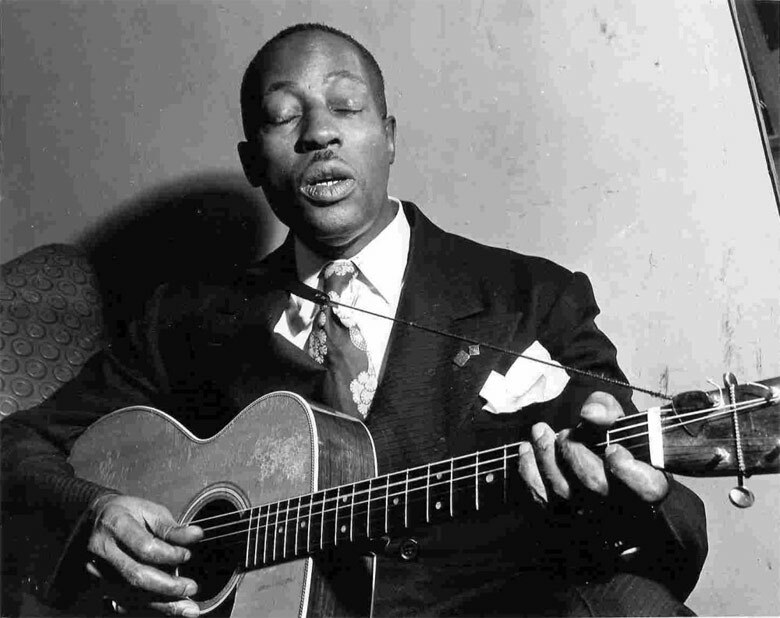 Though he never came close to learning the subtleties of Patton‘s complex guitar technique, two of the major components of Wolf‘s style (Patton‘s inimitable growl of a voice and his propensity for entertaining) were learned first hand from the Delta blues master. 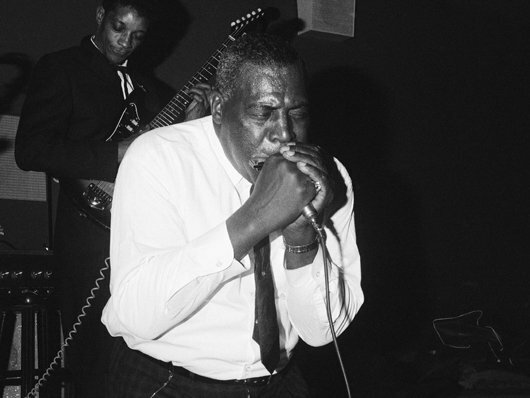 The main source of Wolf‘s hard-driving, rhythmic style on harmonica came when Aleck “Rice” Miller (Sonny Boy Williamson) married his half-sister Mary and taught him the rudiments of the instrument. He first started playing in the early ’30s as a strict Patton imitator, while others recall him at decade’s end rocking the juke joints with a neck-rack harmonica and one of the first electric guitars anyone had ever seen. After a four-year stretch in the Army, he settled down as a farmer and weekend player in West Memphis, AR, and it was here that Wolf‘s career in music began in earnest. ” Wolf finally started recording in 1951, when he caught the ear of Sam Phillips, who first heard him on his morning radio show. The music Wolf made in the Memphis Recording Service studio was full of passion and zest and Phillips simultaneously leased the results to the Bihari Brothers in Los Angeles and Leonard Chess in Chicago. Suddenly, Howlin’ Wolf had two hits at the same time on the R&B charts with two record companies claiming to have him exclusively under contract. Chess finally won him over and as Wolf would proudly relate years later, “I had a 4,000 dollar car and 3,900 dollars in my pocket. I’m the onliest one drove out of the South like a gentleman.” It was the winter of 1953 and Chicago would be his new home. “ Dixon and Wolf parted company by 1964 and Wolf was back in the studio doing his own songs. One of the classics to emerge from this period was “Killing Floor,” featuring a modern backbeat and a incredibly catchy guitar riff from Sumlin. Catchy enough for Led Zeppelin to appropriate it for one of their early albums, cheerfully crediting it to themselves in much the same manner as they had done with numerous other blues standards. By the end of the decade, Wolf‘s material was being recorded by artists including the Doors, the Electric Flag, the Blues Project, Cream, and Jeff Beck. The result of all these covers brought Wolf the belated acclaim of a young, white audience. Chess’ response to this was to bring him into the studio for a “psychedelic” album, truly the most dreadful of his career. His last big payday came when Chess sent him over to England in 1970 to capitalize on the then-current trend of London Session albums, recording with Eric Clapton on lead guitar and other British superstars.Wolf‘s health was not the best, but the session was miles above the earlier, ill-advised attempt to update Wolf‘s sound for a younger audience. ” From Rarearth in Vernon BC David Gogo plays the blues. Gogo was born in Nanaimo, British Columbia, and received his first guitar at the age of five. By the age of 16, he was getting regular work as a musician. Gogo formed a band called The Persuaders, which eventually opened for blues performers such as Johnny Winter, Buddy Guy and Albert Collins. After performing in Europe, Gogo signed a solo record deal with EMI Records. His albums have included Dine Under the Stars, Change of Pace, Bare Bones, “Halfway to Memphis”, “Live At Deer Lake”, Skeleton Key, “Vibe” and “Acoustic”. He appeared as a guest musician on Tom Cochrane’s album Mad Mad World, Bob Walsh’s album “Bob Walsh Live — A Canadian Blues Rendez-Vous” and others. His “Acoustic” album, released in 2006, was nominated for a 2007 Juno Award. He is a two-time Maple Blues Award winner. ” A hard-rocking, high-voltage blues guitarist most often compared to Stevie Ray Vaughan, Tinsley Ellis is hardly one of the legions of imitators that comparison might imply. Schooled in a variety of Southern musical styles, Ellis draws not only from fiery Vaughan-style blues-rock, but also Texas bluesmen like Freddie King and Clarence “Gatemouth” Brown, the soulful blues of B.B. King, the funky grit of Memphis soul, and numerous other electric bluesmen. Ellis has been praised in many quarters for the relentless, storming intensity of his sound, and criticized in others for his relative lack of pacing and dynamic contrast (he’s also been dubbed a much stronger guitarist than vocalist). Yet no matter which side of the fence one falls on, it’s generally acknowledged that Ellis remains a formidable instrumentalist and a genuine student of the blues.